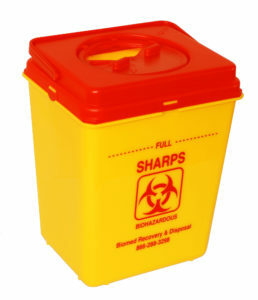 The first step in safe medical waste management is having the right container disposal bins. We offer an array of products which are made to the highest global standards. We can help you keep your staff safe, your workplace clean and your costs low. Our customers trust us to deliver value – we provide top quality supplies at competitive prices and with premier service. Let GIC help you prevent potential injuries due to accidents involving any type of waste. Our team of experts will determine if your waste containers are up to standards or in need of replacement. Here at GIC, we promise to deliver effective and top-tiers waste management solutions at an affordable cost. Protect yourself and the safety of your staff and clients through GIC’s waste disposal management. Consult with our highly-skilled and knowledgeable staff to determine the appropriate containers that will suit your facility’s needs.